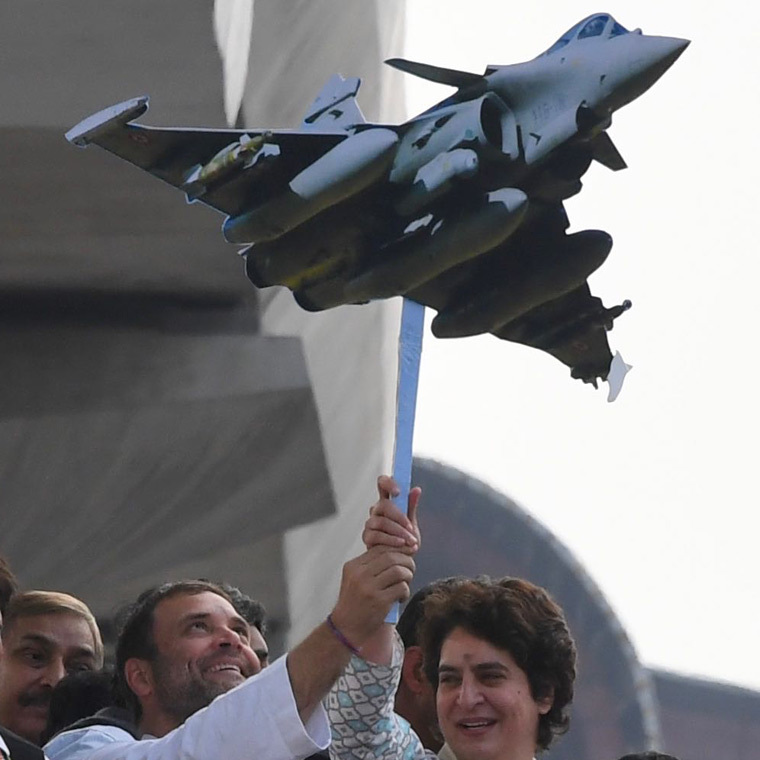 The Congress on Tuesday continued its campaign of alleging irregularities in the Rafale deal by claiming industrialist Anil Ambani and aerospace giant Airbus had knowledge about the Narendra Modi government's plan to buy the French fighter in 2015. The latest allegations by the Congress were based on a news report in The Indian Express on Tuesday that Ambani had met then French defence minister Jean-Yves Le Drian and his advisers in Paris in March 2015, two weeks before Modi announced his decision to buy 36 Rafale fighters off-the-shelf. The Congress circulated an internal email purportedly by Airbus officials, quoting Christophe Salomon, an adviser of Le Drian. One of the recipients mentioned in the email is named Tom Enders; the name of the CEO of Airbus is also Tom Enders. 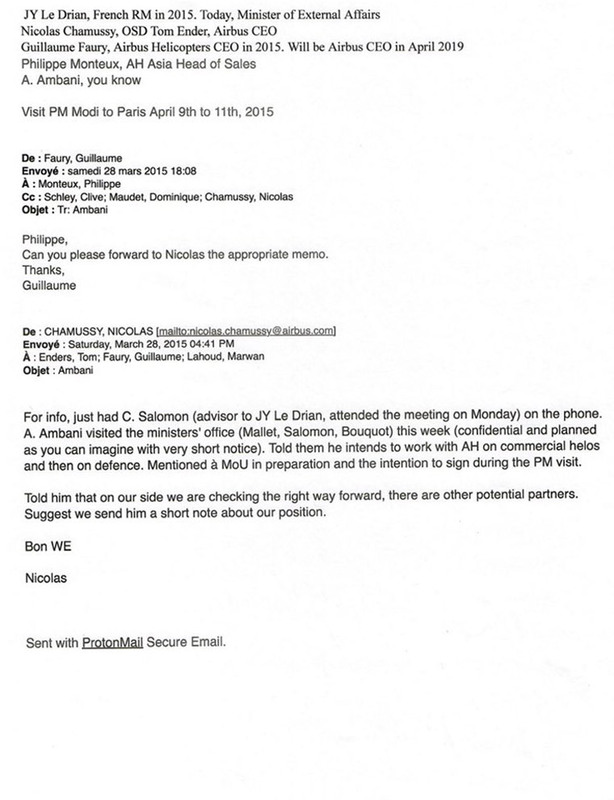 In the Airbus email, shared by the Congress, Salomon is quoted as saying Ambani had a “confidential” meeting with Le Drian. The email says Ambani wanted to work with Airbus on civilian and defence helicopters. Salomon also mentioned an “MOU in preparation” and the “intention to sign during the PM visit”. Modi announced the deal to buy the Rafale fighters on April 10, two weeks after the Ambani-Le Drian meeting. Commenting on the allegations, Congress chief Rahul Gandhi claimed Ambani knew of the impending Rafale deal announcement 10 days before the purchase was announced. Addressing a press conference on Tuesday, Gandhi claimed Modi should be tried for violation of the Official Secrets Act for having revealed the plan to purchase fighter aircraft. Gandhi alleged Modi had acted like a spy over the issue. The fresh allegations will add to the fury over the Rafale deal, which the Congress alleges was concluded to benefit Ambani, who is the main offsets partner for the deal. Interestingly, while Airbus is the manufacturer of the Eurofighter, the Rafale's main competitor, the European giant held a stake of around 23 per cent in Dassault Aviation at the time Modi announced the Rafale deal in 2015. Since then, Airbus has sold some of its shares in Dassault; as of December 31, 2018, Airbus holds a 9.89 per cent stake in Airbus.